“A fever is a temporary increase in your body temperature, often due to an illness. Having a fever is a sign that something out of the ordinary is going on in your body. See that last sentence there? Fevers are very important and play a key role in fighting off illnesses. 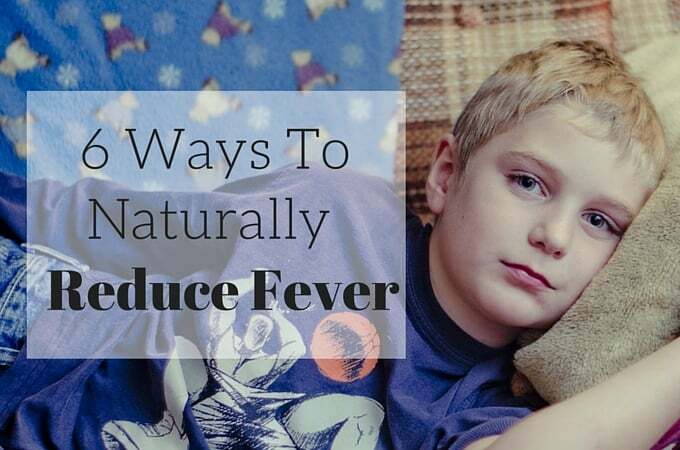 Instead of jumping to give your kiddo a dose of meds, first consider these options when trying to naturally fight the discomfort that comes with fevers and colds this fall. Fever can dehydrate the body, so keep hydrated with lots of water. Babies can keep hydrated with either formula or breast milk. Often babies with fever have decreased appetite, if your baby is not eating regularly and you are concerned please consult your doctor. Getting plenty of rest is the body’s natural defense against fever. Stay home from work for a day, keep the kids home from school, and have a movie day! Sleep is the best medicine! The first time our daughter got a fever at 3 months old our doctor’s first word of advice was to take off all of her clothing and only use a sheet to cover her up. Don’t try to sweat out a fever, and don’t freeze yourself out either, but cool your body down gradually. If anyone in the family is suffering from congestion I highly recommend getting a humidifier (this is the one we have). I lived with one in my room throughout my childhood and now we keep one in B’s room. It relieves stuffy noses and breaks up congestion, making it significantly easier to breathe and get rest. The most accurate way to check a child’s temperature is a rectal thermometer, but we use a forehead thermometer initially. If you or your child has a fever over 103, get to a doctor. I would always advise calling your doctor anytime you are concerned about a fever. I do think that medical care is amazing when necessary, but in my opinion fever happens for a reason and the best way to aide your body in fighting whatever it’s fighting is to make yourself comfortable and ride it out. This is valuable info; thanks! I used to reach for ibuprofen whenever my kids got a fever. Now I let their bodies work naturally to fight a virus/infection. They actually get over illnesses more quickly now! I wish doctors would educate parents more on how fever works! YAAAAAAAS! This is exactly what I needed. I was sick last week and I didn’t know how to take care of myself. I kept calling my mom and trying to convince her to come get us. Greta post! Thanks for sharing! Yep! The less clothing the better as long as your not getting the chills! SUCH great information!! I always like to take baths when I don’t feel good. This completely makes sense why! Baths are a cure all for me too! Love that you posted this. =More and more parents are becoming aware of natural remedies. We seldom go to the doctor, thank you for this post, sharing now! Us too! Thanks for sharing! 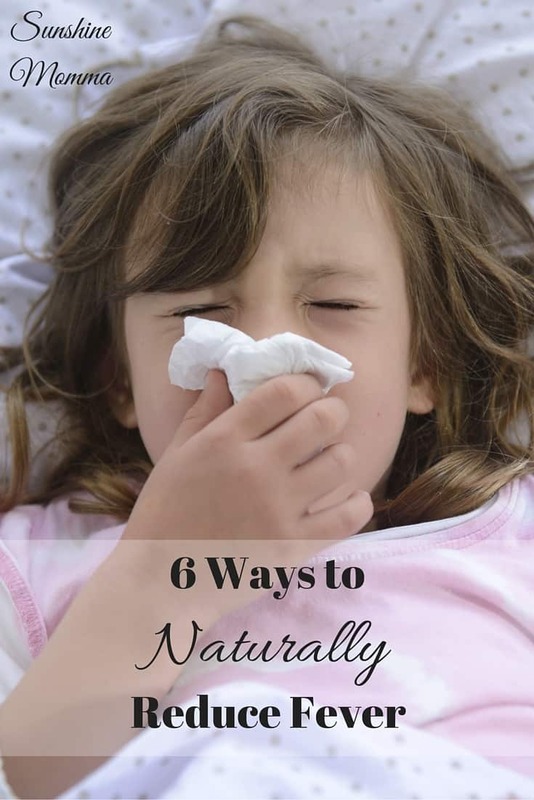 I get fevers all the time so thank you for sharing I will need to try out these tips and see if they work. Lately I’ve been trying SO hard to hold off on the medication for a fever since I know it’s our body’s way of fighting whatever’s going on. I don’t know if I could hold out until it’s close to 103, but we’ll see. Great ideas for reducing them naturally. Pinning this for when I need to remember them later! We use a vicks vaporizer too. It helps so much with congestions and coughs. We use it too when we are getting stuffy. Never heard of not sweating out a fever though, that is very interesting. We love having a vaporizer!